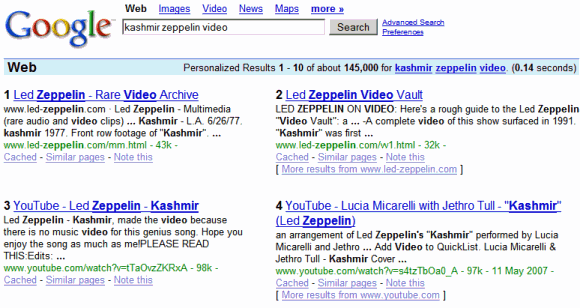 If you have a large monitor, you definitely blame Google for wasting so much space in the search results pages. This Greasemonkey script (that requires Greasemonkey for Firefox) places two search results in a row, so all the 10 search results could be visible without scrolling down. The results have a ranking number to make the order clearer. I'm glad this script works in Opera, too. There's a script for "vertical columns" as well. In fact, this script was the original. I fill that space with Googlepedia. nice but why google use div and table both?